Keto Flu Remedies: How to Beat Ketogenic Diet Side Effects! Keto Flu Remedies: How to Beat Keto Side Effects! 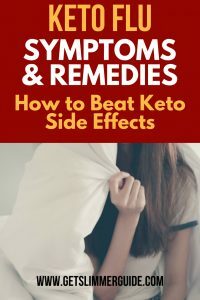 For beginners, knowing the keto flu remedies will help you combat keto flu symptoms and other ketogenic diet side effects when they occur. It is important to note that Keto Flu is not the same as the common flu. Keto flu occurs as a result of carb restriction or withdrawal. For starters, the ketogenic diet requires that you eat minimal carbs, more fats and moderate protein. Most of us rely on carbohydrates for energy, thus our cells are used to burning sugar/carb to produce fuel. So when you start the ketogenic diet, your body has to make the transition from burning sugar to burning fats to produce ketones for energy. This transition causes some changes in your body, which can make you feel like you are coming down with the flu. This is why it is called keto flu. Keto flu is basically your body reacting or adjusting to the new source of energy as it transitions from carb reliance to fat reliance. As mentioned earlier, the symptoms are similar to the common flu. Keto flu usually begins within the 2nd or 3rd day of being on the ketogenic diet. For the average person on the ketogenic diet, keto flu lasts for about 3 days to 1 week. In some cases, it could last up to 2 weeks. You are likely to experience one or more of the following symptoms of Keto flu when you start the keto diet. It is important to note that the symptoms, their severity, and duration of the Keto Flu can vary from person to person. The reason keto flu affects different individuals differently is because of what is called metabolic flexibility. Metabolic flexibility is an individual’s ability to adapt to different energy sources such as carbs, fats and proteins. The two major factors that determine metabolic flexibility are genetics and lifestyle. Yes, some people have the gene to easily switch from using sugar as fuel to using ketones (from fats). If you are born with such a gene, lucky you! If Not, well too bad – that’s your fate, but you are NOT alone. Although the first factor is beyond your control, the second (lifestyle) is not. This is because the decision on how you live your life (in this case what you eat) is YOURS. So those who are used to eating a lot of refined sugar and carbohydrates are more likely to experience severe keto flu symptoms. This is because their bodies are already used to relying on sugar for fuel, making the transition to relying on fats more difficult. Such people always crave for more carbs, hence their keto flu symptoms are more sever. On the other hand, those who are used to eating low carb diet, find the transition easier and they experience less sever side effects. With low carb intake, your body is not given enough sugar to trigger the release of a significant amount of insulin. When the insulin level drops, sodium is released from the body and thus takes up a lot of water with it. It can cause up to 10 pounds of water weight loss from the body during the first 5 days of the ketogenic diet. The loss of water and sodium causes dizziness, nausea, headaches, and cramps which are the most common keto flu symptoms. That is quite a challenge, but as soon as your body adapts to the keto diet, your cortisol levels are likely to decrease because the body uses alternative fuel sources like ketones from fats. Although Keto flu may be unpalatable and even terrifying, there are things you can do to get relief. The following are some keto flu remedies that can help you beat the keto flu symptoms and increase your adaptability. You will lose a lot of water and electrolytes when you first start the ketogenic diet, which can cause dizziness and other keto flu symptoms. So be sure to drink a lot of water to help replenish the fluid you are losing and keep you hydrated. Add a pinch of himalayan salt and some lemon juice to your water. Lemon water helps with cravings and nausea, while salt helps replace the minerals you are losing. Remember, you are transitioning from carb dependency to fat dependency, so eating more fats is the right thing to do in order to boost your energy levels. And eating fat bombs is one of the easiest ways to up your fats intake. Bone broth may not taste great, but it sure is very nutritious. Not only does it provide the much needed fluid to your body, it’s also rich in minerals, thus helping to replenish lost electrolytes. You can make your own or use a store bought bone broth. And I would suggest you opt for one made with organic grass fed beef like this one. Coconut oil will help you get keto-adapted quickly. This is because the MCT in coconut oil goes straight to the liver where it is converted to ketones, which your body uses for fuel. Since you are losing a lot of electrolytes, taking mineral supplements can be helpful. Increasing your mineral levels can go a long way in relieving some of the keto flu symptoms. 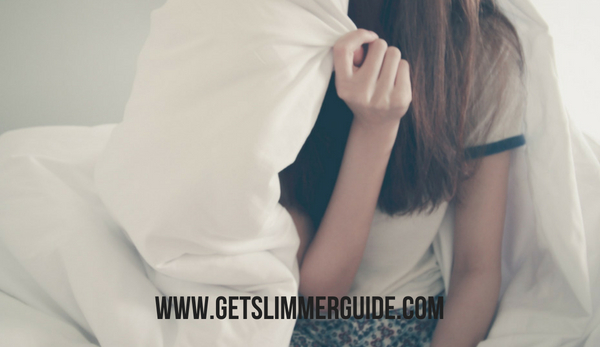 Getting quality sleep is vital if you want to minimize the side effects of keto. This is because lack of sleep can cause stress and tiredness, making the keto flu worse. Be sure to sleep for 7-9 hours a day. Ironically the ketogenic diet might cause sleep problems. So I suggest you look for natural ways to help you sleep better. Magnesium supplements and essential oils can be of great help. Meditation is one of the keto flu remedies because not only does it relieve stress, it also improves focus and helps you sleep better. Additionally, below are some helpful keto diet DON’Ts you should be aware of. Do not eat too much protein. You are required to eat moderate proteins, but overeating on proteins will cause more harm than good. It can cause a spike in insulin, thereby causing you to go off the keto diet. Do not stress over things beyond your control. It is important to keep your stress levels low. And worrying about things you have no control over can only increase your stress levels. As mentioned earlier, Keto flu symptoms and intensity differ from person to person. So, it is important to monitor how you feel and take appropriate actions using the keto flu remedies mentioned here. Keto flu may be unpalatable but it doesn’t last long. It goes away as your body becomes adapted to the keto diet and get into ketosis.